The security of your home should be priority number one, as you are more likely to be burgled if you are not keeping on top of your home security. Simple tasks such as locking windows and doors at night and before leaving the home should be made on instinct, but not every homeowner is going to be as quick to do this, so there are a number of security solutions available that can do a lot of the work for you. 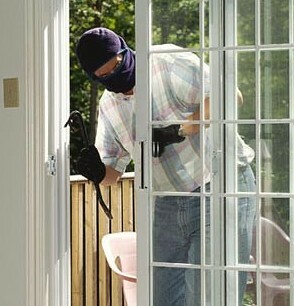 Having your home fitted with security lighting and an alarm is really important. In a terraced area, security lighting probably isn’t going to be practical, but if you have a detached house with a driveway and a garden, it should be installed. Intruders will not want to walk up your driveway and suddenly find themselves basked in light. It won’t do much for their chances of getting inside your property. A security alarm is essential wherever you live. Some alarms are loud and try to deter the intruder with sound, whereas others are silent and send a signal direct to the police, which is very useful as it means that the intruder may still be inside your home when they get there, thus improving the chances of seeing an arrest. 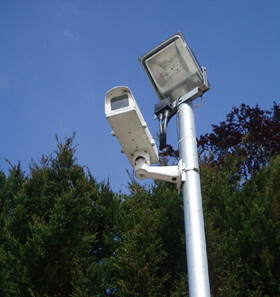 CCTV is a valid option for larger homes and houses in the country. 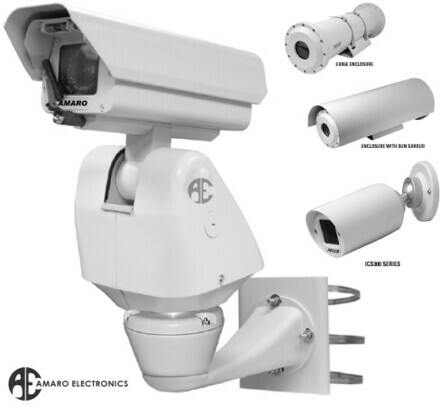 Installing cameras to the front and rear of the property (and sometimes inside the property) will likely mean that an intruder will be caught on camera and will be identifiable to police. In the event that the face of the intruder is covered – and this is quite likely – the camera will in most cases act as a deterrent to anyone but a master criminal. Like with alarms and lighting, it inserts doubt into the mind of the thief, as they will know that your house is protected and you are security conscious. Having security alarms and CCTV cameras are all well and good, but if the house itself isn’t fitted with quality windows and doors and the locks are not sufficient, it doesn’t really matter how protected you are on the outside, intruders will find a way inside. Checking the windows and doors of your home – including patios and conservatories – for cracks, faulty locks and to see if they are difficult to open or close is a huge step forward in making your home as inaccessible as possible and if you make any changes right away, you should be safe from intruders. Daley has recently bought a home, so he is very keen on keeping up to date on all things home security. He works with www.crsrollershutters.co.uk to ensure homes have all the security they need.